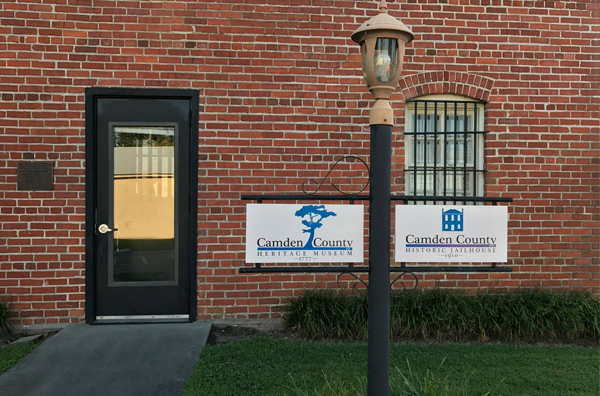 The Camden County Heritage Museum began with a group of passionate Camden historians and their desire to have a home for Camden artifacts and stories. With the support of the County Manager and County Commissioners, this vision has become a reality. The continued dedication of these passionate individuals has allowed a legacy of Camden stories for generations to come. Explore Camden County’s history through interpretive panels, artifacts and knowledgeable docents. The Historic Jail is a well preserved reminder of incarceration in the early 1900s. Scheduled hours of operation for the Heritage Museum and Historic Jail are Friday & Saturday from 10am-4pm and other times by appointment in coordination with the Friends of the Camden Museum, Inc. camdenmuseum1777@gmail.com For Camden County Tourism information contact 252-771-8333.